The consortium brings together expertise in a variety of business segments. CBA services are offered by participating associates and can be delivered in person or virtually by custom design. Certified Conscious Business Change Agents evaluate your business to determine the consciousness principles built into your operations and the "upgrades" needed to become a Certified Conscious Business. 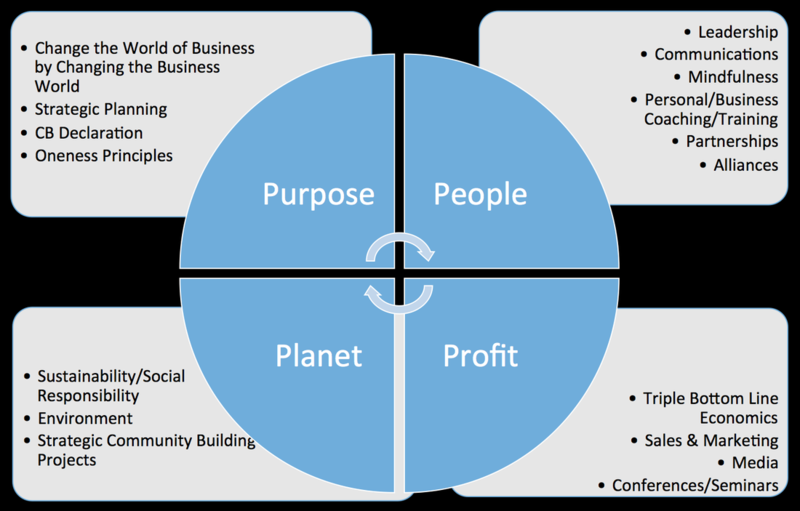 CBA will provide a proposal in the form of a "road map" to assist your business in becoming aligned with the Conscious Business principles. One or more customized services may be offered and contracted independently or in combination. The business evaluates engagement of a CBA Associate to provide these services. One or more of our carefully selected consultant teams assist your executives, team leaders, and employees to customize programs for implementation. Enjoy a stronger more profitable business while contributing to the betterment of the world.